Silica is a mineral that is used in a wide variety of cosmetics and skin care products due to its multi-functioning nature as an an abrasive, anticaking agent, bulking agent, opacifying agent and suspending agent. Silica, also known as silicon dioxide, is an oxide of silicon, the 14th element on the periodic table of elements. After oxygen, silicon is the second most abundant element in the Earth’s crust, however, it very rarely occurs in nature as its pure form. Rather, 90% of the Earth’s supply of silicon occurs as silica. You’re probably most familiar with silica in the form as quartz, which is the most common component of sand in many parts of the world. Additionally, silica can be found abundantly in sandstone, clay, and granite, as well as in parts of plants and animals. Silica is generally colorless to white and insoluble in water. Silica has widespread industrial applications including use as a food additive, as a means to clarify beverages, control viscosity, as an anti-foaming agent, and as a bulking agent in medications and vitamins. It’s important to recognize the difference between silica and silicones, both which are found in skin care products. In contrast to silica, silicones are a group of synthetically produced polymers made up of repeating units of siloxane (elemental silicon and oxygen) combined with other elements, most typically carbon and hydrogen. Silicones have very different functions than silica. There are many forms of silica that exist in nature that are used for different functions. Crystalline silica is the form used in grinding, sandblasting, masonry projects, etc, and is highly abrasive. Crystalline silica has also been linked to a variety of health hazards, which we will discuss below in the safety section. Thus, crystalline silica is not used in cosmetics or personal care products of any kind. Hydrated silica is another version which is a derivative of silicon dioxide. The primary use for hydrated silica is in toothpastes since it is mildly abrasive, which helps to clean teeth. Additionally, hydrated silica easily forms gels, which is why this ingredient is sometimes used in liquid fountain products. According to Cosmetics Info, the form of silica most commonly used in cosmetics and personal care products is amorphous silica. For the following discussion on the functions of silica, we will be referring to amorphous silica. Silica has several different functions in cosmetic and personal care products, including as an abrasive in scrubs, an absorbent powder, anticaking agent, bulking agent, opacifying agent, and suspending agent. It is most commonly used as an absorbent because of its ability to absorb excess moisture and oil from the surface of skin. Of note, some people find that silica can absorb too much moisture and/or oil, leaving skin feeling dry. Silica is a gentle abrasive that is often used in exfoliating skin care products, such as body and face scrubs. After President Obama signed a bill that banned the manufacture and distribution of products containing plastic microbeads, manufacturers turned to silica as an alternative. Some companies have even figured out a way to manufacturer synthetic silica. Products that contain silica as an abrasive will help to exfoliate the top layers of skin, removing makeup, excess oil, dirt, and other impurities that may have accumulated during the day. 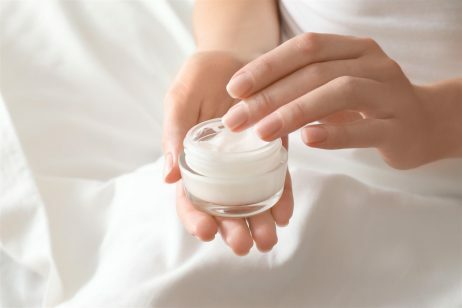 According to Truth in Aging, silica is commonly used in cosmetic formulations because its spherical particles not only absorb sweat and oil, but prevent light reflection and improve spreadability. 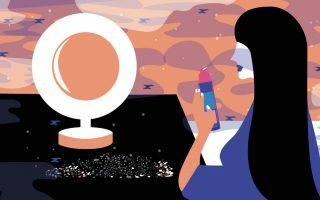 Silica is also used as an ingredient in powder perfume because the porous spheres enable this ingredient to deliver fragrance over a long period of time. As mentioned above, the safety of silica depends on the form. Crystalline silica has been linked to a variety of health hazards, including cancer, allergies, and organ system toxicity. Crystalline silica is a known respiratory, musculoskeletal, and immune system toxicant, and there has been strong evidence of cancer caused by products that may be aerosolized. Amorphous silica and hydrated silica do not have these same health hazards. The FDA has recognized the distinction between the types of silica and finds both amorphous and hydrated silica safe for use in cosmetics and personal care products. References: Wikipedia, “Silicon”, Paula’s Choice, “Silica”, J Nutr Health Aging. 2007 Mar-Apr;11(2):94-7., Wikipedia, “Silicone”, Sterling Minerals, “Is Silica Powder Safe In Mineral Makeup Products?”, Cosmetics Info, “Silica”, Biovia, “Silica to the Rescue: Can CPG Companies Use New Microbead Alternatives for Products?”, Truth In Aging, “Silica”.